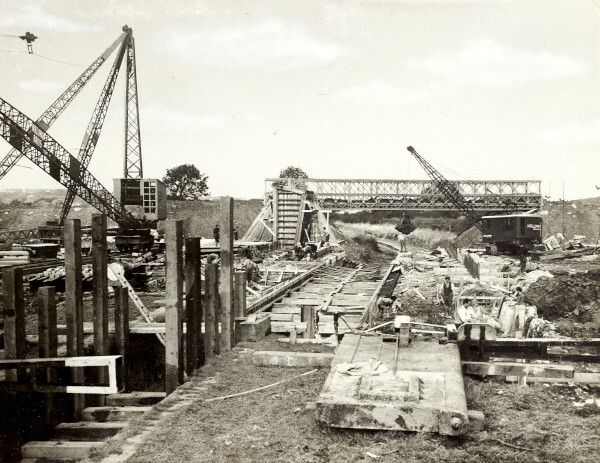 "As a result of heavy section steel piling the tail end of lock 12 moved and had to be rebuilt"
Black and white photograph showing the rebuilding of a lock. Taken looking towards a bridge, there are various workers and equipment, such as cranes and sheer legs, spread around the photograph. This photograph is on page 82A of the C N Hadlow photograph album.